If you follow me on Instagram or Snap Chat (@kingteeuhh, which you totally should if you aren’t already) you know Dr. Miracles sent me a box of goodies from their new and improved “Feel It” Formula collection to try a few weeks ago. I have been slowly working my way through all of the products to provide you with a thorough review, but THIS. ISH. RIGHT. HERE. THOUGH (*claps for emphasis), I tried a few months ago, and could not wait to share my thoughts. 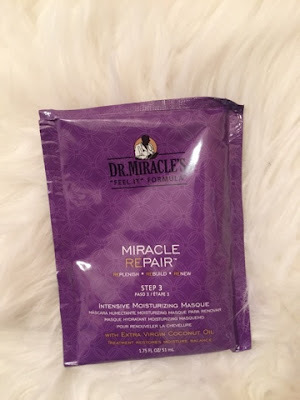 I think you all know I am honest about any products I try, but since Dr. Miracle’s sent me these products to review, I will reiterate that my opinion about these products is still as honest as it would be if I paid for them. 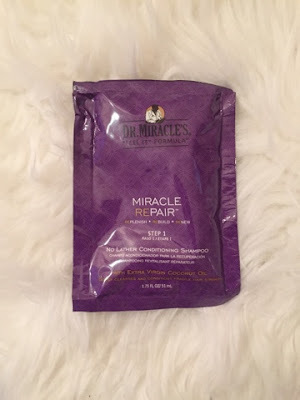 This new Miracle Repair kit is actually a conditioning and treatment system to “Replenish, Rebuild, and Renew” hair in three simple and easy steps. The box includes the No Later Conditioning Shampoo, DuoCare Reconstructor, and the Intensive Moisturizing Masque in little sachets. Cost: $5.99 at Walgreens, CVS, Sally’s, Target, and Walmart– For a total system, you can’t beat that with a bat. I enjoyed this shampoo. I found it to be very gentle and nourishing and I didn’t mind the no lather formula. The formulation is very creamy with a delicate scent. I always wash my hair at least twice and I washed my hair twice with this and had some left over. Even after two washes, my hair didn’t feel stripped at all. To be honest I wasn’t exactly sure what this product was supposed to be, as reconstructor could mean many things, but my guess was a protein treatment since step 3 is to replenish moisture. But this step 2 ya’ll, it was everything! Same delicate scent as the shampoo but this formulation was super thick. I parted my hair into 4 sections, applied the product, then went back and combed through for even distribution and to detangle. The directions say to let the product sit on your hair, covered (optional), for 20 minutes. I did this using heat with my hot head cap. It seemed like as soon as I applied this product, my curls were like “hey, girl hey,” the definition was amazing, almost immediately. Once the 20 minute processing time was done my hair was unbelievably soft and curlier than I’ve seen it in a while. I did snapchat the results. Shameless plug. As you may be able to tell, my hair is super thick, so usually these packets come up short on the amount of product. However, similar to the shampoo, I had some of this left over after a very generous application. Win. Yes Dr. Miracles. You had me for real for real at Step 2. So after the utter curl shattering life that was given in step two, I was really thinking to myself what on earth is left to offer in step three? Well, I went about applying it in the same manner–parted into four sections, applied product, used a wide toothed comb to detangle and distribute evenly, then covered with my hot head cap. Even as I was applying the product I could see immediately how well it was imparting moisture to my hair. 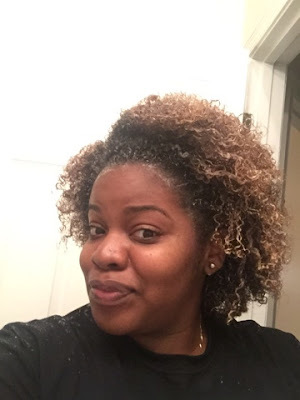 After having it sit in my hair for a while…my hair felt like two feather stuffed pillows. Or your granny’s skin. You know Granny’s always have ridiculously soft skin. It was amazing. It didn’t leave me with the curl definition step two did, but that was completely fine considering the way my hair felt. I did use the entire packet, and honestly could have used a bit more. Portions— The amount of product across all the steps seemed unbalanced to me especially if the system is intended as a single use treatment. There was more shampoo and reconstructor than necessary (such that I found myself trying to use more than I needed as not to waste product), and not quite enough moisturizing masque. I noticed all the steps have the same volume of product, which I think is weird because I would think the different functions of each would call for a different amount of product. Now I am definitely not complaining about getting more than one use, I am only saying that if that is the case, these packets (which are intended for one time use) aren’t the appropriate packaging. Wasn’t ‘feeling it‘— See what I did there? As I mentioned, this system is a part of the ‘feel it’ formula collection, where the products all have a tingly sensation to engage the scalp. I didn’t get that with any of the products in this system. This didn’t cause me to enjoy them any less, but I did expect it and felt like it was something worth mentioning. The Miracle Repair system is Tee Approved, and gets a 9.82–I like the number 2– from me and not a 10 ONLY because I didn’t “feel it” and had left over product, but not enough for a second application. I hope these products will also be available in bottles soon because this is a system I would definitely like to have on hand. You knocked it out of the park with this one Dr. Miracles! Let me know if you would like to see a video of how I used this system on my youtube channel. 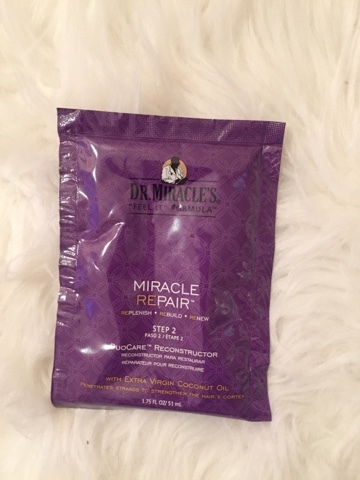 Have you used the 3-step Miracle Repair system by Dr. Miracle’s? Let me know what you thought of it in the comment section! Next Article Next post: Are You “Unnaturally” Natural?